The National Mississippi River Museum & Aquarium is one of only 230 worldwide zoos and aquariums accredited by the Association of Zoos and Aquariums (AZA). As such, our institution is committed to conservation efforts that protect threatened and endangered species. Through AZA’s SAFE (Saving Animals from Extinction) program, we collaborate with zoos and aquariums throughout the world to save species in the wild. Additionally, the Museum & Aquarium participates in AZA’s Species Survival Plan® (SSP) Program, working with a cooperative of zoos and aquariums, to ensure genetically diverse and self-sustaining populations of Wyoming Toads. You can read more about this effort below. Fun Fact: Since joining this U.S. Fish and Wildlife Service and AZA Species Survival Plan® Program partnership in 2008, the Museum & Aquarium has sent over 41,000 Wyoming toad tadpoles for release in Wyoming. Additional progeny were held back for breeding or released at an older age. The Wyoming toad (Anaxyrus baxteri) is found only in Albany County, Wyoming. 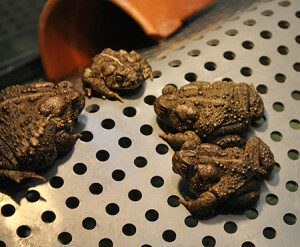 The toad was first described in 1946 by George T. Baxter, a graduate student at the University of Wyoming. The presence of amphibians are often a key indicator of an ecosystem’s health. The population of Wyoming toads declined dramatically in the 1970s, and by the 1980s, the toads were extremely rare. The Wyoming toad was listed on the Endangered Species Act on January 17, 1984. In December 1996, the Association of Zoos and Aquariums (AZA) approved a Species Survival Plan® (SSP) for the Wyoming toad. Fun Fact: The Museum & Aquarium partners with local students on this program! From 2016-2017, 8,000 juvenile mussels were reared in SUPSY* buckets maintained by local students. These students took growth and water quality data for use by USFWS in future management planning. 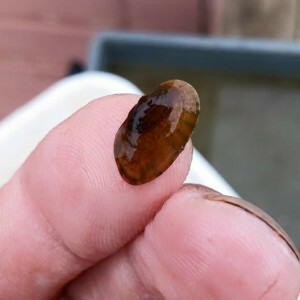 The Museum & Aquarium, in cooperation with the Genoa National Fish Hatchery, has been raising freshwater mussels for recovery projects since 2004. The mussels, which require the use of a fish to serve as a host for their parasitic larvae, are raised in floating culture cages placed in our nearby Ice Harbor in the spring and removed in the fall. At the hatchery, mussel larvae are placed on their appropriate host fish and then transported to the Museum & Aquarium for placement in the cages floating in the Ice Harbor. Each cage is stocked with 20 to 30 host fish. The cages allow the mussels to develop and then drop off, concentrating them in that specific area for future recovery. The cage also acts to keep predators away from the growing juvenile mussels. The fish are released from the cages after about six weeks, in plenty of time for all the mussels to drop off. The cages are harvested in October, and the resulting sub-adult mussels are stocked in the Mississippi River and its tributaries ranging from the Quad Cities all the way up to the Twin Cities. From 2010-2017, 60,000+ juvenile mussels were recovered from the culture cases in the Ice Harbor and released in local waters by the U.S. Fish & Wildlife Service (USFWS) and the Iowa Department of Natural Resources. *SUPSY is an air-driven upwelling system made by nesting two small plastic buckets together with screened bottoms to allow water flow. Gentle aeration from an air pump creates flow through the system, bringing the mussels oxygen and food. 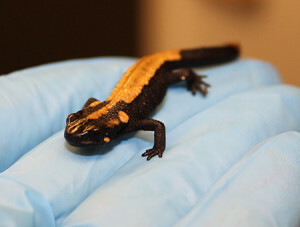 Fun Fact: Staff at the Museum & Aquarium bred this newt in 2011, 2012 and 2018! We are the only AZA institution to breed Laotian Newts in captivity. Laotian Newts have seen continued declines in habitat quality and the number of mature specimens in the wild. Additionally the Laotian newts have an extremely limited population radius. These newts are in high demand for the international pet trade and lesser demand for medicine and food. So while captive populations are higher, Laotian newts have become endangered in the wild. Fun Fact: We work with Logperch to save other species! One of the rare species the U.S. Fish & Wildlife Service is working to propagate is the federally endangered Snuffbox mussel. Like most freshwater mussels, a specific fish host is required to complete its life cycle. Logperch are one of the best host species for Snuffbox mussels. Logperch are common in our region but difficult to find in large numbers. In 2017 we started a program to propagate Logperch in-house with the ultimate goal to supply them to USFWS mussel biologists to utilize in their Snuffbox propagation efforts. The Logperch are unharmed in this process and would be released into the river afterwards. 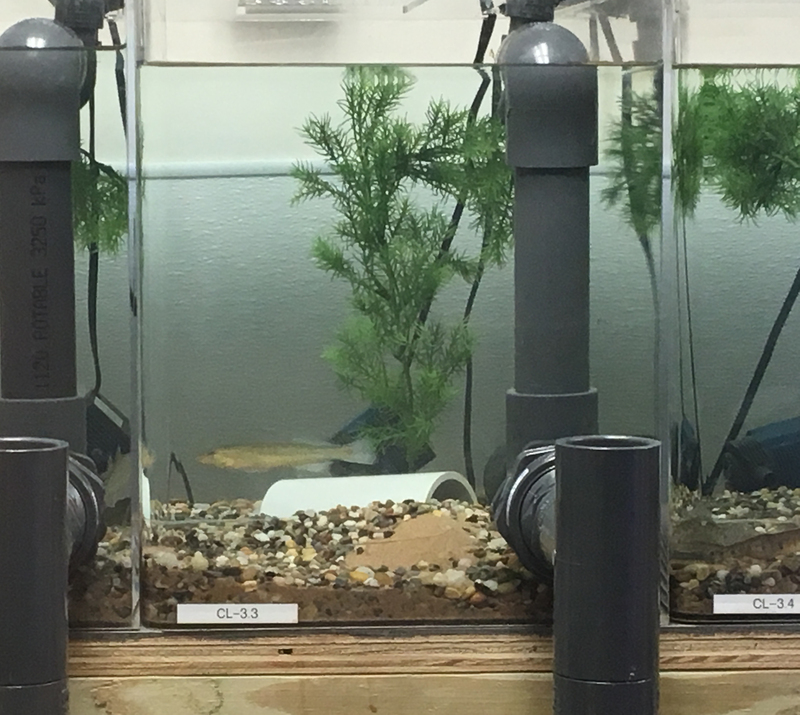 Be sure to check out our Logperch culture system located in the Conservation Lab! The Museum & Aquarium actively supports and endorses Monterey Bay Aquarium’s Seafood Watch Program and use guidelines they’ve formulated based on scientific research to better assist us in our efforts to be seafood sustainable. Seafood sustainability is the practice and management of harvesting or producing seafood with minimal impact to the environment. The Museum & Aquarium practices seafood sustainability when purchasing food for animals in our care. We also encourage visitors to the museum to participate in the program as well through face-to-face engagement and education. Complimentary Seafood Watch pocket guides are available to guests free of charge at our box offices and can help visitors make informed decisions on their next seafood purchase. 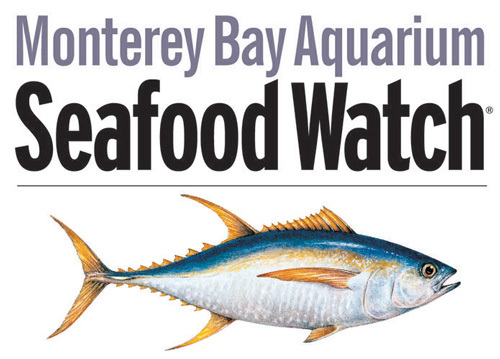 For more information, visit Seafood Watch! Citizen science is research conducted, in whole or in part, by you, your neighbor, your grandparents, or anyone considered an amateur or nonprofessional scientist. Through citizen science projects, individuals, groups, and families are provided a fun opportunity to learn about a living thing and its environment, collect data, and report the data collected for use by nonprofessional and professional scientists all over the world. As a citizen scientist you make a valuable contribution and become part of the scientific community. The Museum & Aquarium encourages participation in the following citizen science programs! FrogWatch USA is a citizen science program of the Association of Zoos and Aquariums (AZA) and provides participants an opportunity to learn about wetlands in their communities. Volunteers collect data during evenings from February through August annually and have been submitting data for over 15 years. IOWATER trains citizens to conduct basic water chemical, physical and biological measurements. IOWATER provides you the equipment and tools you need to start understanding and protecting Iowa’s valuable water resources. The mission of Project Piaba is to increase the environmental, animal welfare, and social sustainability of the Amazonian aquarium fish trade, to develop and incorporate metrics through which this progress can be assessed, and to provide mechanisms to promote this industry. The National Mississippi River Museum & Aquarium has partnered with Project Piaba to create awareness among our visitors about how they can participate in this important work. For more information on Project Piaba, visit their website.